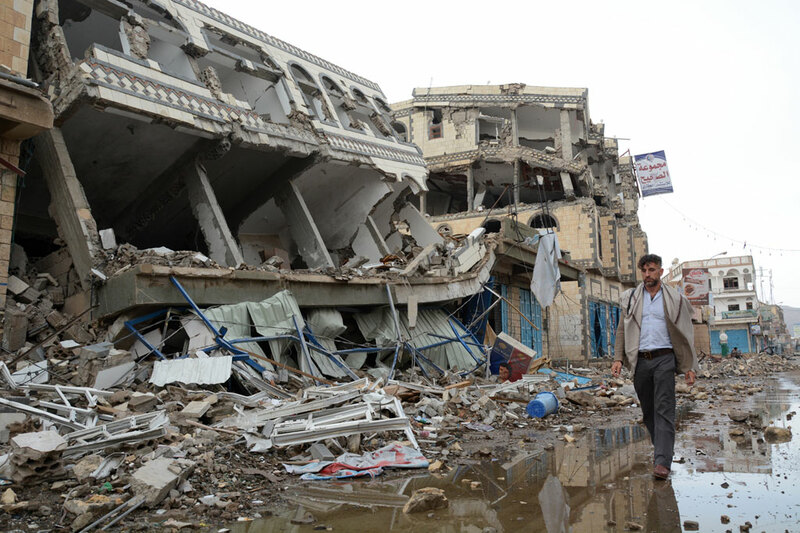 In March 2015, a brutally violent conflict erupted in Yemen that has displaced three million people and killed over 10,000. Violence, hunger, and a deadly cholera outbreak are threatening the lives of hundreds of thousands more civilians, many of them children. Urgent humanitarian assistance is needed to save lives and protect livelihoods. A serious challenge to providing this aid is a lack of funding, and continued and escalating conflict. 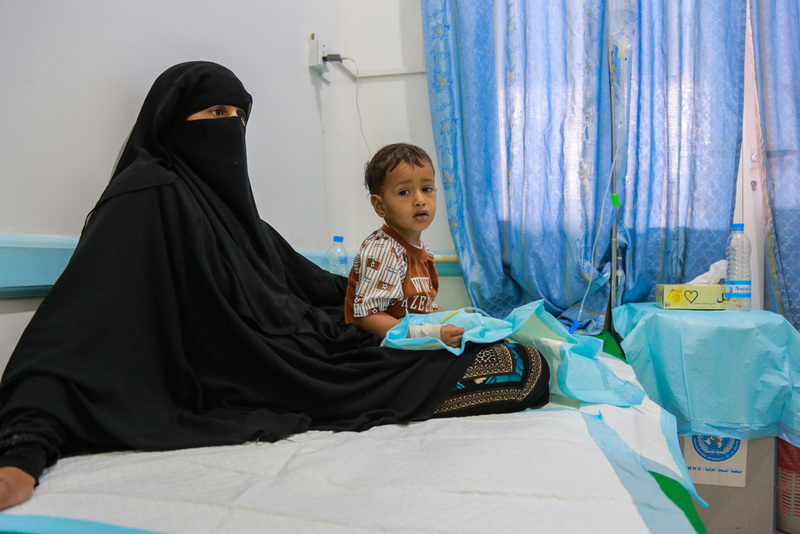 Due to inadequate water and sanitation conditions, and country-wide infrastructure collapse, a new wave of deadly cholera began spreading across Yemen in April 2017. As of September 612,703 people have been infected with cholera, according to WHO reporting. Improved services and conditions must be provided to save lives and to avoid further spread of this disease. 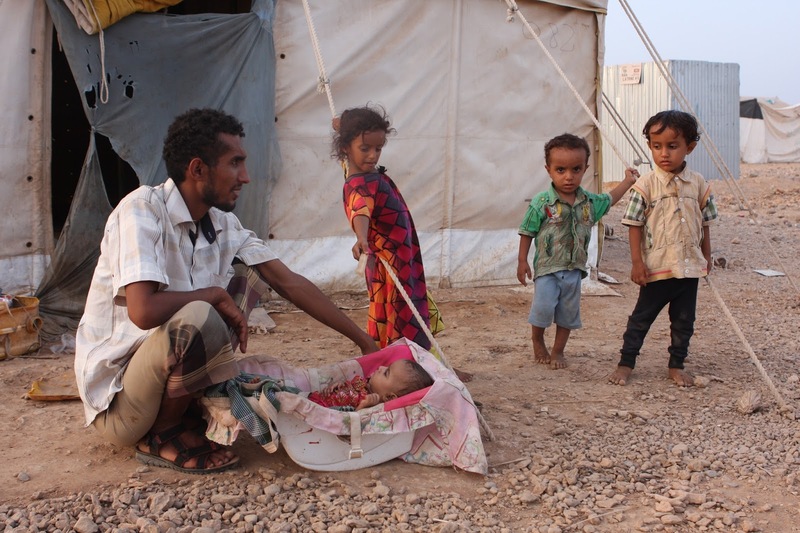 Families in Yemen are seeking shelter at refugee camps in surrounding countries. • 60% of the population of Yemen is food insecure, and more than seven million are severely food insecure (that’s 25% of the population on the edge of starvation!). • 4.5 million people are suffering malnutrition. • 55% of those desperately in need of food, water, and sanitation are children. 462,000 children are suffering severe acute malnutrition. • 1.2 million infants and children require the intervention of preventative nutrition services to keep them from becoming malnourished. • As of May 2017 there are 3.11 million Internally Displaced Persons in Yemen. • 15.7 million people need water and sanitation support. A child being treated for cholera in Yemen. Because of the gifts of generous Canadians like you, Food for the Hungry Canada has so far been able to send $30,000 USD to provide food and water relief aid to those suffering in Yemen. 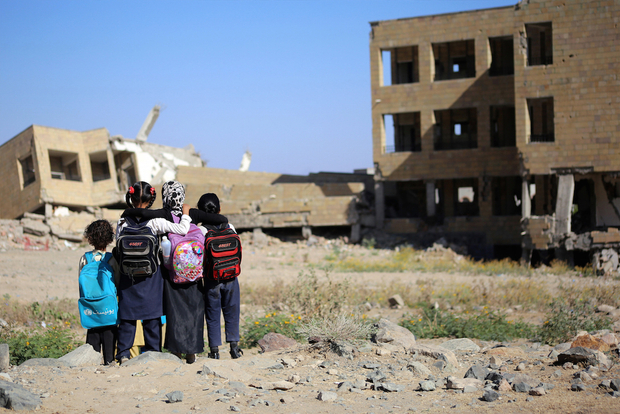 Essential infrastructure, including schools like this one, has been decimated. This relief is being executed through a partnership of relief and development agencies, including FH Canada. Two members currently have relief operations in Yemen. One in particular is conducting a program providing life-saving food assistance and an emergency water supply. Through these partners, FH Canada hopes to send additional relief to the children and civilians caught in the middle of this violent conflict.